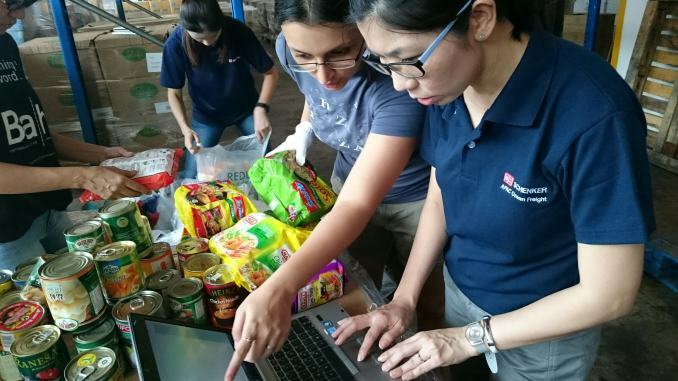 Have you heard of The Food Bank Singapore (FBSG)? And do you know that apart from Singapore, the “food bank” also exists in countries such as the United States, United Kingdom, Germany, Hong Kong, and more? The names of the food bank may be different, but their purpose is the same – a non-profit and charitable organisation that distributes food to those who need it. As a charity organisation, the FBSG is glad to have received increasing donations from corporations and foundations such as Khoo Chwee Neo Foundation, although this was not the case in the initial two years of the establishment of FBSG, where most activities and overheads were borne by the organisation. The founders of the FBSG, siblings Nichol and Nicholas Ng, see the need to have a food bank in Singapore after observing that our food industry has a lot of unused food. This is also why part of the FBSG’s mission is to “play a key role in the reduction of food wastage within the whole supply chain”. 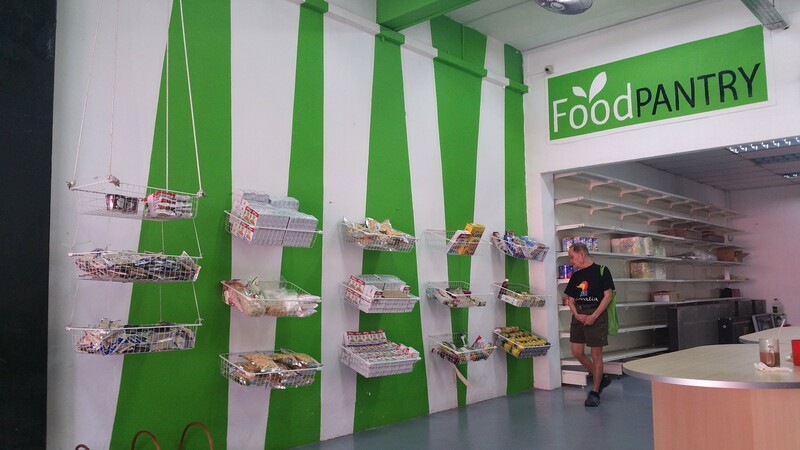 Set up in 2012 and as the first food bank in Singapore, the FBSG “aims to be the prevailing centralised coordinating organisation for all food donations in Singapore”, as Nichol tells us. “Its mission is to bridge potential donors and members (beneficiaries). It complements charities’ food donation efforts by helping them to obtain better access to excess food,” she adds. Moreover, she explains, the FBSG “aspires to be the voice of food resource planning and management, and spread the word on its importance to ensure long term providence of food for everyone”. So how is Singapore’s food bank different from other food banks? Nichol explains that the overall philosophy and mission is similar. However, in most countries, food banks can salvage food from farms whereas in Singapore, being a city state, there is not much agriculture. She thinks that another great difference is the need for education on food insecurity, which is not commonly talked about here. According to the National Environment Agency (NEA), Singapore generated 791,000 tonnes of food waste last year. This is equivalent to approximately 140kg of food wasted per person annually. When asked if there has been any reduction in food wastage since the FBSG was set up, Nichol replied that “based on the figures from NEA, the number dropped a little in 2015, but we feel that that may not be conclusive of what is happening on the ground”. 785,550 tonnes of food waste were produced in 2015, a slight decrease from 788,660 tonnes in 2014. They would, however, be pleased if food waste is reduced as it would show that awareness on food wastage has increased, but FBSG knows that they still have a long journey ahead of them. To reduce food waste in Singapore, the FBSG has been looking for “creative and alternative ways to maximise use of excess food” such as conducting talks in schools and institutions to bring awareness. In fact, 70% of their time is spent on “spreading the word” to educate people. Through these talks, members of the public are shocked to know about Singapore’s food waste figures and hunger situation, and most will support once they are aware, Nichol says. The FBSG collects excess food from donors and have them distributed to their beneficiaries, which in turn reach out to individual families that need these food. However, there are a handful of people who refuse to step forward even though they are in need of help. Nichol sheds some light on why these people reject help: there are people as old as 82 years old who look for a job because they feel they need to earn the food and not receive free food. That aside, will there be excess food after the distribution to beneficiaries is completed, and does the FBSG throw them away? The answer is no. The FBSG uses this chance to raise awareness by selling the food. Generally, many beneficiaries require food with a minimum of two months before expiry. As a result, there will be a considerable amount of food that do not meet this requirement and cannot be distributed. To minimise wastage, the FBSG came up with the idea of The Food Pantry to sell the items at $1 each regardless of the brand and product, so as to encourage consumption of these food items. Nichol mentioned that there has been an increase in interest from members of the public on The Food Pantry, but sometimes they will still throw away the unsold items if they have reached their expiry date. Apart from having The Food Pantry, FBSG has conducted jarring classes and is now looking at encouraging composting, says Nichol. She continues to emphasise that the FBSG’s main calling is not on reducing food wastage but to feed the hungry, albeit the salvaging of food happens to be involved in the process. They are confident that if FBSG carries out its role accordingly, and if more food companies can take action, food waste will be reduced. FBSG also works with RedMart and collaborates with Marina Bay Sands. The former donates all perishable items to FBSG and the latter supports the food rescue project. In this project, FBSG collects four types of food: non-perishable, perishable, cooked and expired. In the first category, unopened food with at least two weeks of shelf life are accepted. The food with the greatest demand include, but are not limited to, staples, beverages and condiments. The second category consists of vegetables, meat and dairy products and will be redistributed to beneficiaries immediately. For the third category, restaurants and hotels with excess cooked food will be collected. The FBSG has partners to conduct laboratory tests to ensure the quality of the food. As for the last category, expired food such as raw meat or canned meat without sauce are turned into animal feed or biofuel. Furthermore, there is a programme that has been running for a few years called ‘Project X-pired’. This programme aims at raising awareness about food wastage in Singapore and the project involves the collection of expired food and transforming them into art pieces, says Nichol. It is through the art pieces that the public will get to know about food wastage and how they can help to minimise food waste. The FBSG also encourages the public to donate non-perishable food at the on-site food drive. FBSG is looking to help our neighbouring countries set up their own food banks. In addition, with World Food Day happening in the month of October, FBSG is working on a project to celebrate this event and more details will be known later. “It is important to realise that food is a fundamental right to every human being and it is sad to see that even in an affluent country like Singapore, this fundamental right can still be denied to some of the population,” Nichol adds.